I just finished reading a how to increase the sales of ebooks book and it turns out one of the most important keys to success for an author is finding her niche, her specific audience, her target market. 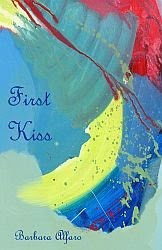 And that's just what I intend to do for my memoir called Mirror Talk about a Catholic girlhood and working in theatre. Without revealing too much about myself, my target market is older Catholic women inordinately fond of vodka, dark chocolate, cats, and movies without gunfire. I certainly don't intend to deliberately exclude young non-Catholic women, men of any age, and sullen scotch drinkers from my readership but I do want to be realistic about who will buy my book. The how to book also says instead of trying to widen one's target group, an author should narrow it down, appeal to a smaller group, one she has a great deal in common with, as this actually increases her chances of sales. Going along with this thinking, my target audience would now become older Catholic women inordinately fond of vodka, dark chocolate, cats, movies without gunfire, poetry, and men with curly hair. And if I can just get these women to put the vodka tonic and box of chocolates down for a minute and click on this link Kindle "Mirror Talk" to buy the book, my cat Byron and I can go back to watching "Pride and Prejudice." You've pegged your audience, Barbara! Now, where can you find them? And what's the secret to getting them to actually pay for your excellent book? I love this post, full of good-natured humor and slightly-painful truth. We writers who come out of the older, more traditional publishing world, are doing our best to connect with our readers. And your readers sound a lot like the readers I'm trying to woo. Although I'd add "coffee ice cream" to the list. Thanks for a most enjoyable read! I love it! Only I am a woman with curly hair and I don't drink. But I like men who have and do and yet I'm protestant. And yet I love your writing and your books. So, I am now thoroughly confused. I think everyone should know about your writing and books because I suspect most people know someone who would benefit from bathing in your words and hearing how your conquered so many facets of your life. Lovely piece, as always!! Sunny and Laura, Thank you for your warm and generous comments. Clearly, the how to expert was mistaken and I need to widen my target audience to include coffee ice cream lovers, curly haired non-drinkers of both genders and all faiths, as well as agnostics, atheists, and dog lovers. I'm holding firm about the movies with gunfire. hmmm. 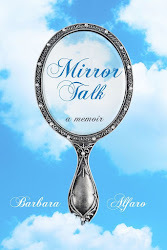 I am a Jewish woman who hates vodka, hates chocolate, and generally dislikes memoirs -- and yet, I love Mirror Talk. Clue: I do love Jane Austen? I guess I'm a bull's eye: NY Catholic school girl; grown up theatre teacher, sister of actress and reader of Austen. Oh yeah, and I bought MIRROR TALK and SINGING MAGIC because I'm a writer who knows good writing when I read it. I like vodka. Aside from that, I don't fit your target audience at all! So, why did I enjoy "Mirror Talk" so much? LOL, funny, but really, the principle is narrowing the target audience not atomizing it! I think it is a great idea for writers to think in terms of target audiences when considering marketing, and we all do at a certain level when we list the "category" of the book, don't we? I don't think Mirror Talk would fare particularly well under "YA", "Science Fiction", "Thrillers" or "Horror", right? Well there you go, you are recognizing that marketing to these groups would probably be by and large a waste of your time. You have narrowed the target audience. But I do think "Catholic" or "Drama" or "Poetry" are good candidates for the characteristics of your target audience. I do like movies with gunfire but I will grant you that, don't include them. Seriously Barbara, people interested in theater are good candidates for this memoir. I need to "hashtag'it on Twitter. Some of us out here in the ether have a wide range of interests and are open to different backgrounds. Dear Anonymous/Dorothy Chapman, "The Niche' is a humorous post, not meant to be taken seriously. Of course I am open to those of "different backgrounds" - especially if they buy my book.